Here’s another little spoiler before the official 2014 MDX Prototype debut next month. 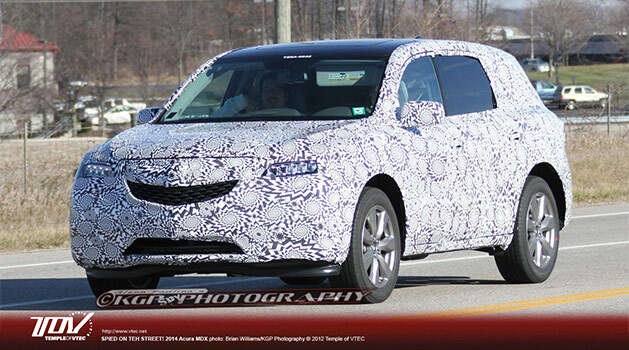 A couple of fresh snapshots show the camouflaged MDX out on the streets revealing more exterior and interior details. On the outside it looks like the new MDX will get a grille style similar to the 2013 ZDX, along with Jewel Eye headlights with a single row of larger jewels rather than the double stacked design seen on the RLX. Interior shots show a center console resembling the RLX’s dual screen set up. See the full set of images over at Temple of VTEC – vtec.net.